We’re closing in on HRevolution 2015 in beautiful Saint Louis, and we are happy to announce the location for this year’s event. 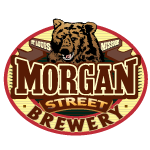 We will be at the Morgan Street Brewery Lodge, a stylish setup and an all-around fun place to visit. Well, I’ll have to take you back 2010 to explain. That year we held HRev in Chicago, and we had an amazingly creative location picked out. The entire building seemed geared toward creative thinking, and it has remained a perpetual favorite of HRevolution attendees for years. So we decided to try and one-up that location with this phenomenal find. But why Saint Louis, of all places? One key reason is because my cofounder, Trish McFarlane, lives there! We have hosted this amazing event at various locations since 2009, and this is the first time we’ve held it in her hometown. We have a great group of long-time HRev fans living in and around the STL area, so we know that it will be a great experience for those looking for a unique HR event. Thinking about it? On the fence? Wondering if it’s worth your while? Come. It’s worth the drive. You won’t get a legal update. You will get excited and passionate about HR. If you’re not excited about working in HR and the potential impact you can have, then this probably isn’t the event for you. If you consistently hear “you’re not like any HR/recruiting person I’ve ever met,” then this is what you have been waiting for. Plus we’ve created a first-timer’s discount! Just use “firsttime” when you register and you’ll get 20% off the ticket price. Previous attendees have told me HRevolution is the single most important event they look forward to all year long. And while other events cost $500-1000+ to attend, HRev is just Why not see if the same is true for you? And last but not least, our sponsor lineup is being finalized (any others interested should contact Trish), and we are proud to have Globoforce and Quantum Workplace down as supporters this year. We’re just a few short days away from HRevolution 2012 in beautiful Chicago, and we have a few announcements to make as we gear up for yet another fabulous event. First off, thank you to our awesome sponsors. We truly appreciate each of you helping to make this event a success. Please check out our sponsors page and see if one of the sponsors offers something that is right for your business. They are the reason we are able to put this event on at such a low cost, and without them HRevolution just wouldn’t be the same. To our supporters and friends at Aquire, Ceridian, Pinstripe, and SilkRoad, we are all grateful for your support! Secondly, this Thursday night (10/4) the HR Happy Hour radio show will be on the air live at 7:00pm Central. You can dial in and listen to the show on your phone, or you can visit the link and listen to the live stream of the show as we chat with the sponsors and planners to get some insights into what to expect at HRevolution. Want to know what’s going on at the event? Here’s our agenda. What’s the dress code? Oooh! It’s not HR without a dress code, right? Honestly, we are very relaxed, and many attendees will be in jeans. Trust me, you’ll be focused on the content, not what you’re wearing. What’s the event like? If this is your first HRevolution, you are in for SUCH a treat! Here’s a video shot a few months back that gives some idea of how HRevolution is both better and different from other events in the HR space. If you’re on Twitter, you need to check out the #HRevolution hashtag for the “back channel” chatter on the event. You’ll find some new people to follow and have the chance to interact with the best and brightest HR pros around. Have another question that you’d like answered? We are more than happy to help! You can reach Ben at ben@upstarthr.com or Trish at trisham89@gmail.com. We are looking forward to seeing old friends, making new ones, and having a great time at Chicago. See you there! Everyone behind the scenes around here has been busting it to get these details wrapped up and ready to share with everyone. We are excited that we were able to lock down The Renaissance Atlanta Midtown as our conference hotel. We still have a few rooms at the HRev rate but they expire on 4/15/11. If you’d like to reserve a room, call reservations at 1-800-716-6009 or click here to do it online. After careful consideration the fact that they had space to hold the tweetup really made the difference for us. Rooms are $159 a night and have complimentary wireless. What more could you ask for? Just mention that you’re an HRevolution attendee when you call (866) 945-6285 to reserve your room. The legendary HRevolution tweetup will be held at the conference hotel to keep things simple and easy. More details to come, but attendees always have a great time at this pre-event meetup to share stories, meet new people, and have a few laughs (and maybe drink a little, but I’d never tell!). Now that Friday is taken care of, where will we spend our Saturday? Of course we had to choose an amazing place for something as important as the third HRevolution event, so we’ll be at the fabulous Georgia Tech Conference Center. We chose the venue for several reasons, including the abundance of space, because it’s important at times to get away from the chatter and have a private conversation at times. And I hear that they will provide as many soft drinks as I can consume for free, so you know I’m on board! Look for information on our speakers and a thrilling agenda coming your way next week. Make sure you subscribe for email updates so you don’t miss a thing! Oh, and if you have a second, reach out to Crystal Peterson on Twitter to give her a shout out. She has put in a lot of time getting this stuff prepared and we on the planning crew appreciate her very much!